We've finally made it to the last and most important step of getting your account set up! Take a sip of water or coffee and let's get your customers into Housecall Pro so you can start taking advantage of this powerful tool. What are the options for importing my customer info into Housecall Pro? There are a few options for importing your customer list into Housecall. Connect and import customer info from your QuickBooks Online account. Watch this webinar to learn how to easily import your customer list, price list and job history from Quickbooks to HouseCall. Bulk import your customer list from an Excel or .CSV file directly into HouseCall Pro. If you're coming from another software or using Quickbooks Desktop (and don't want to transition to Quickbooks Online) this will be the option for you. You can choose to import your list yourself or email your list in Excel or .CSV format to our import team at datahelp@housecallpro.com to have it uploaded for you. If you choose to have our team at Housecall import your customer list, please allow 3-5 business days for it to appear in your database. If you don't have an official list and your contacts are in your phone or you're a new business, that's okay! Housecall Pro is a great tool to help create and build your customer database. I've uploaded my customer information or sent it to you. What's next? You've set your account up, now it's time to put this tool to work. Housecall Pro works just as hard as you do to help you streamline your operations so you can focus on your business, not just in it. From here, you'll want to schedule your first job so you can start to see how your employees and customers will benefit from this powerful tool. When you need help, let us know. Search for answers in our help section or message our chat team (available Monday-Sunday 6am-6pm PST) so we can help point you in the right direction. 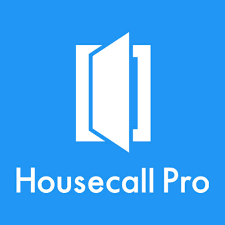 Thanks for choosing Housecall Pro!